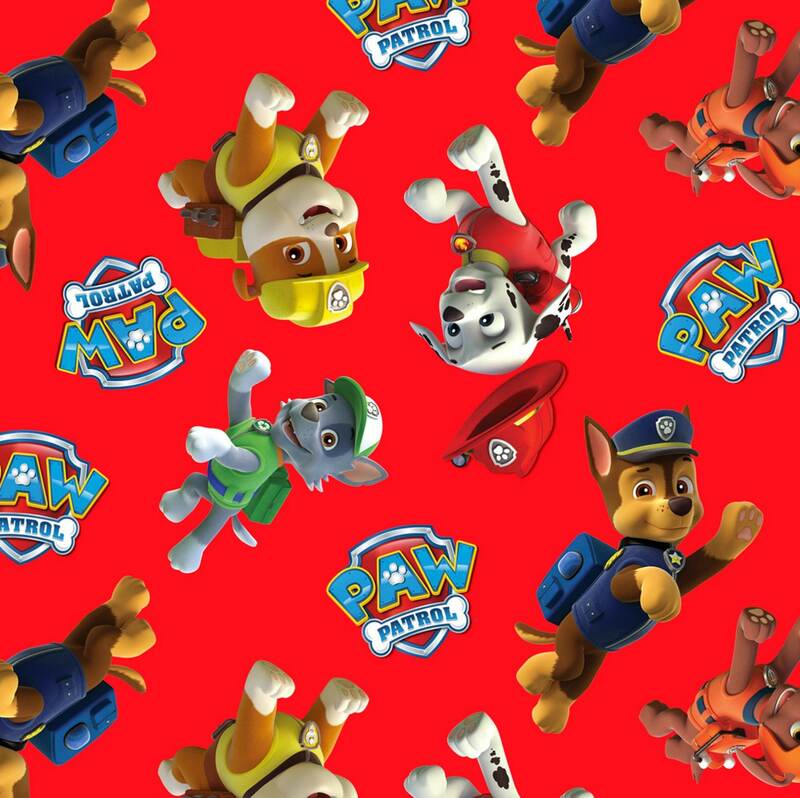 Back by popular demand Paw Patrol has returned to The Quilted Nursery Children's Fabric Store. Each new print that we receive becomes cuter than the previous. A bright red background featuring all of the fun Pups in colors of blue, yellow, white black and green. 100% cotton perfect for quilting, garment sewing and crafting. Buy today before it is gone! All fabric from The Quilted Nursery Children's Fabric Store is cut directly from the bolt and we now offer fractional fabric cuts. Refunds on shipping overages will be refunded upon shipment of fabric. Made a pillowcase out of it!